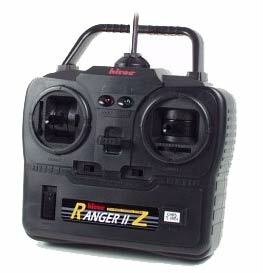 When you buy an rc-sailboat, most of the times the radio equipment is not included. Thus, you also need to buy it separately. On this section, I'm going to write some words about the radio components and show the most popular brands and models available on the market. 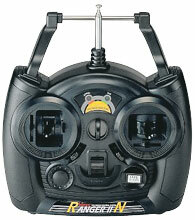 All sailboats presented on this website use a 2-channel radio control equipment. It means that it is only possible to control two functions while the boat is sailing. In the case of sailboats, those two functions are the rudder steering and the sails adjustment. (four AA, batteries, for example. Use only alkaline or rechargeable batteries. Do never use non-alkaline batteries, once they consume too fast and you can loose the sailboat control while sailing. Remember that you can't really know how deteriorated your batteries (the ones inside the boat) are - you can only estimate. 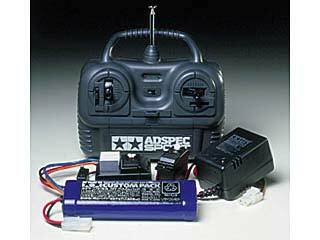 6V Battery cells, rechargeable or not, have also been proved very successful, but they are more expensive than AA batteries). 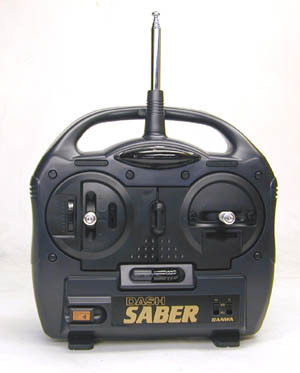 The good news is that when you buy a 2-channel radio, the transmitter, the receiver and two standard servos are already included. Thus, you just need to buy the batteries separately (and maybe a special servo for sails control, but I will comment it later, when I talk about servos). 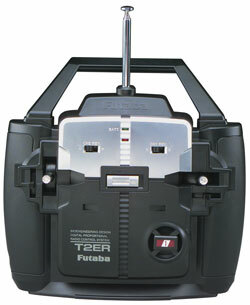 The average price of a two-channel radio is about U$ 50.00. The most usual manufacturers and model are shown in the table bellow. Any of them can perfectly be used in a sailboat. Two channel radio usually found on the market. 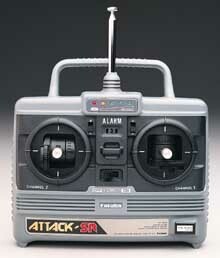 An important detail to pay attention before you buy the radio equipment is the operational frequency. Usually 72MHz frequencies have been used for airplanes and you should avoid using them in a sailboat. The most commonly used frequencies for boats are 27MHz and 75MHz. Moreover, if two radios with the same frequency are used at the same time, there will be interference. So, if you are planning to sail with other people, try to find out which frequency they have used on their radios and buy a radio with a different one. The operational frequency of a radio equipment can be changed, but you will need to buy new crystals and they are not cheap. Once you have bought the radio, you can make a small modification on the transmitter in order to make easy the sails adjustment. 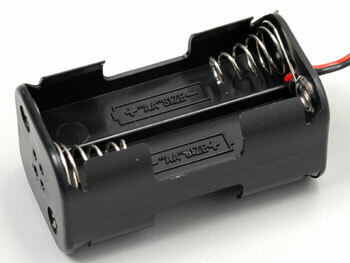 The two sticks existent on the transmitter are connected to small springs which bring them back to the neutral position (center). It is an important thing for the rudder control because it will keep the boat in a straight line after a maneuver, but it is not desirable for the sails adjustment. When we adjust the position of the sails according to the wind we want that the sails stay in that position. Thus, the sails adjustment stick should not return to central position, but keep the position we put it. 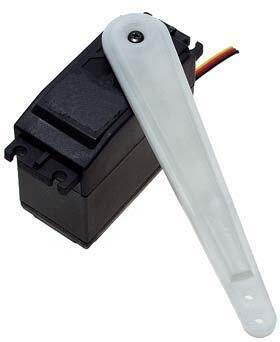 In order to modify the transmitter, you have to open it and remove the spring responsible for bringing back the stick to the central position. Be aware that only the sails adjustment stick (the one which moves in a vertical way) should be modified. 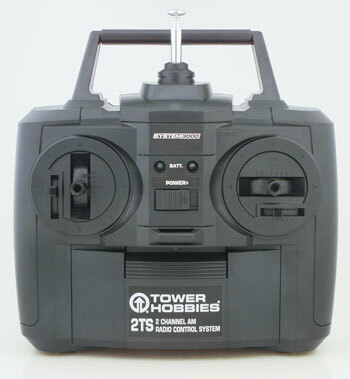 I've done this modification on both Futaba's Attack 2VR and Hitec's Ranger 2N transmitters and it is not a difficult operation. I believe it should be easy on other models as well. 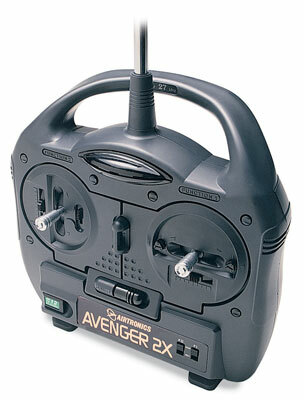 As said before, almost all two-channel radio equipment comes with two standard servos included. 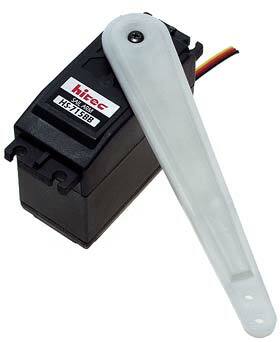 However, these are simple and weak servos. 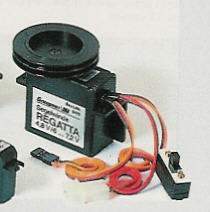 The rudder steering in an rc-sailboat do not need a lot of power and the standard servo can be used without problem. Nevertheless, the wind power upon the sails many times exceeds the capacity of these servos. 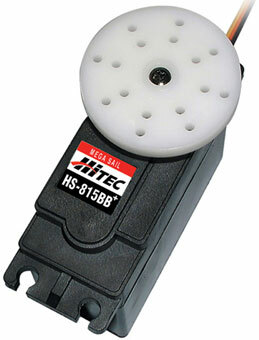 Probably it will be possible to use a standard servo on boats up to about 80 cm long. Even so, it is possible that the servo hasn't enough power to pull the sails in a heavier wind. 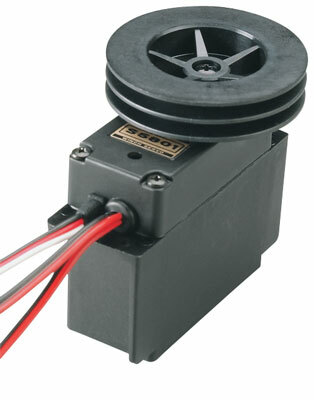 If you intend to own a bigger boat (90 cm, one meter or bigger), you will have to buy a sail servo (sail winch). 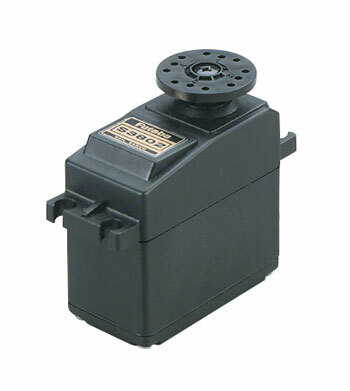 There are two kinds of sail winch: the arm sail winch and the drum sail winch. The major difference among them is that the arm winch rotates a maximum of 90° to 145° (depending of the model), while the drum winch rotates some 360° turns. 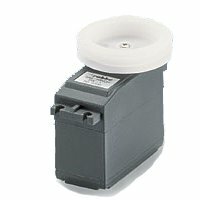 The choice between one or the other will depend on the boat that you own and on the space available on your boat for arm moving (the arm winch needs much more space than the drum winch). Other details you should examine are the winch speed, stall torque, dimensions, weight and other specifications related to your boat. 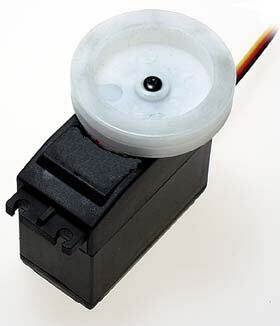 If your intention is competition, you should try to find out which servo the other skippers on your class have been used. They probably have already tried a lot of models and have defined which one is the best for your kind of boat. A table with the specifications and pictures of the most usual sail winches follows bellow. 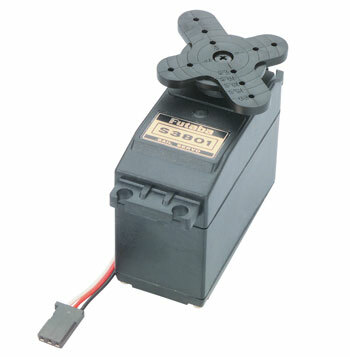 All specs are based on a 6V current. 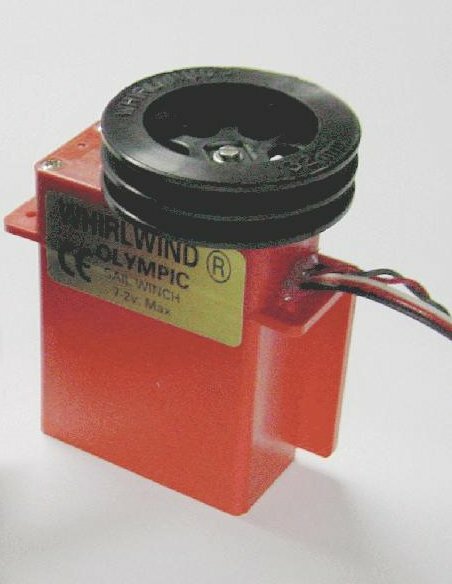 * The Whirlwind winches have been discontinued.